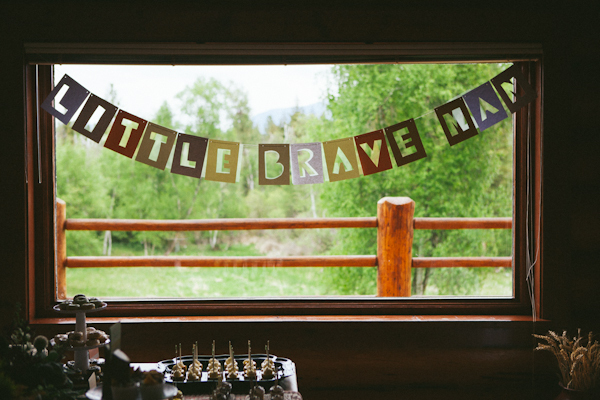 I am thrilled to share MY post for the "Little Brave Man" baby shower for my friend Kelli Trontel. 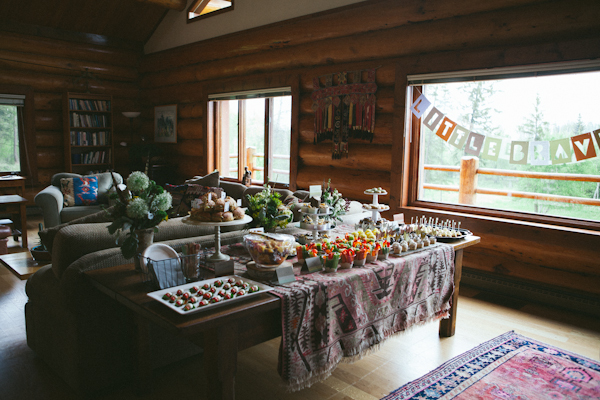 but I'm excited to share the whole party here now (lots of pics, you've been warned)! 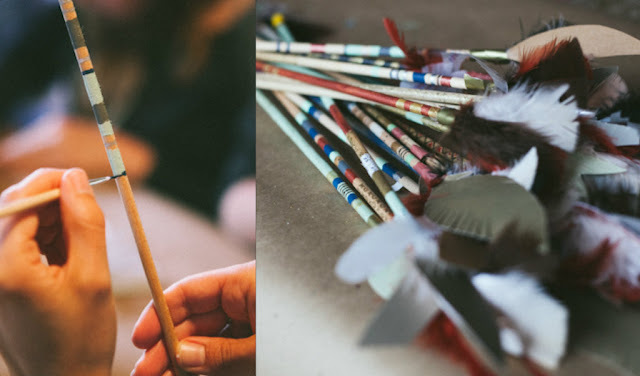 Jennie and I were trying to go with a semi-modern, arrows, teepees, and feathers theme. 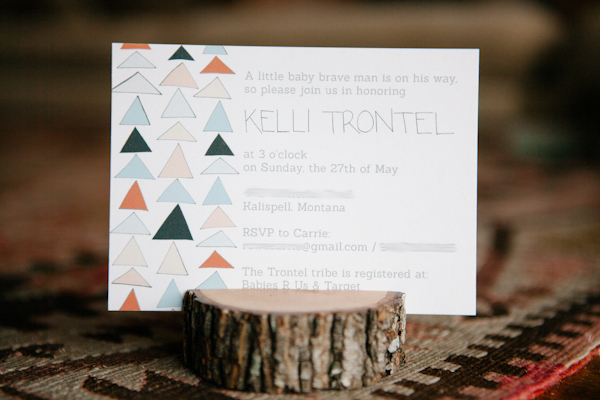 Ashley of Thorn + Sparrow was totally on board and made the cute invites. The party was at Kelli's in-laws and I LOVE their home! 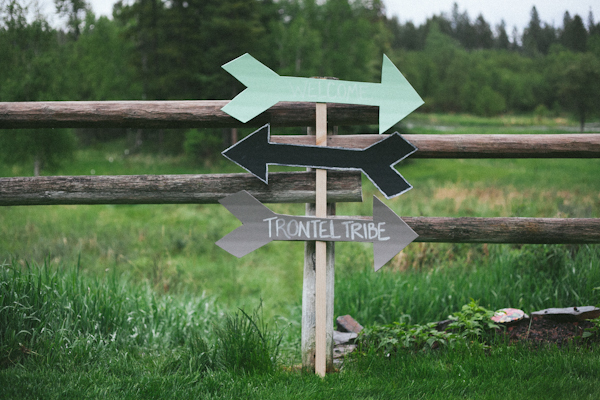 Ashley painted cute arrows on reclaimed barn-wood pointing guests in the right direction to the house. 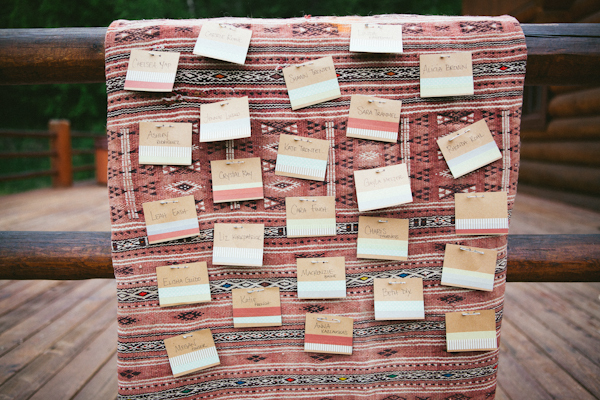 The guests had simple name tags made with card-stock and washi tape. 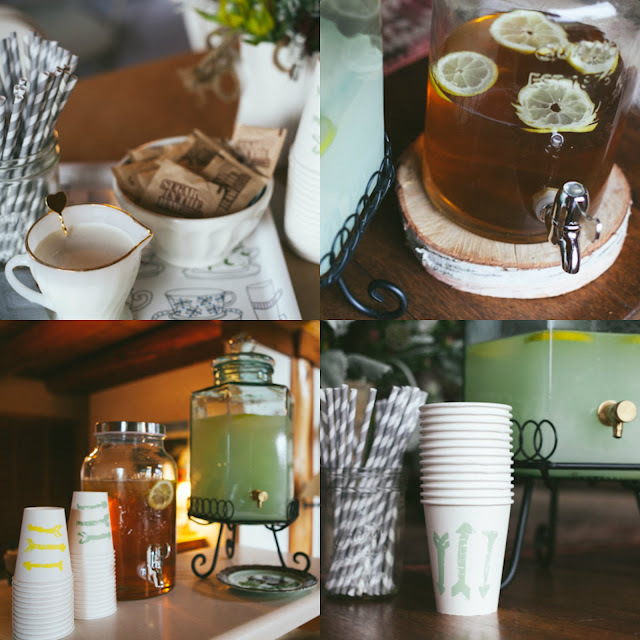 The house went so well with the theme of the party! 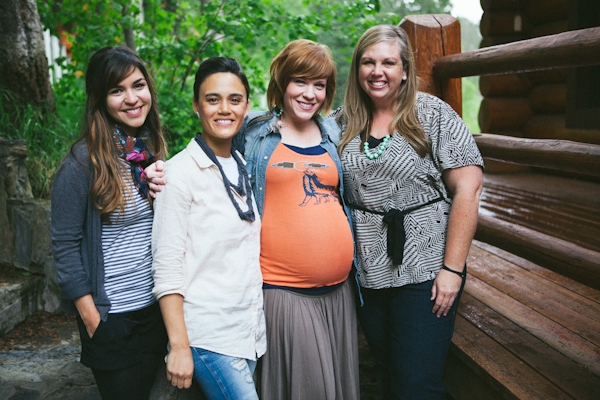 It was a lovely time to honor Kelli, celebrate this new life, eat food, chat with friends, and just hang out. 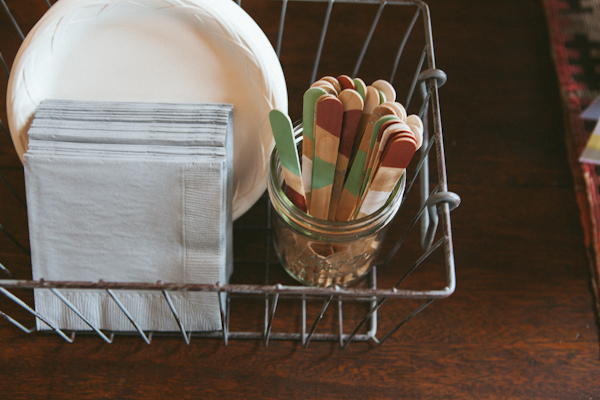 Simple white plates, grey napkins, and painted forks. 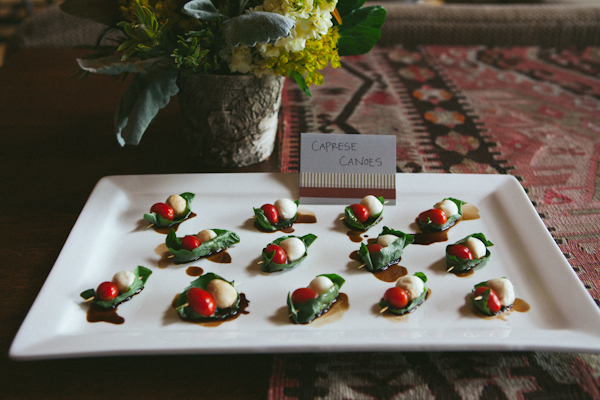 Jennie, my amazing party planner partner made these Caprese Canoes... hehe. 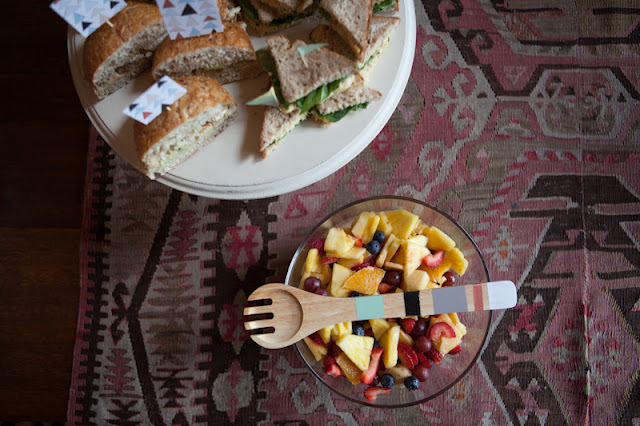 We used left over invites and made food picks for the sandwiches. I also made a color coordinating serving spoon. 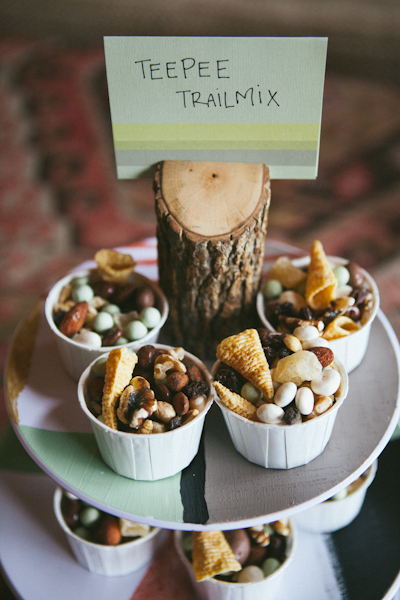 The Teepee Trailmix was one of my favorite little details. We simply mixed trail mix, mint green colored Sixlets, and Bugles. YUM! Stamped cups (DIY coming soon). Mum's Flowers provided all flowers for the day and they were AMAZING! 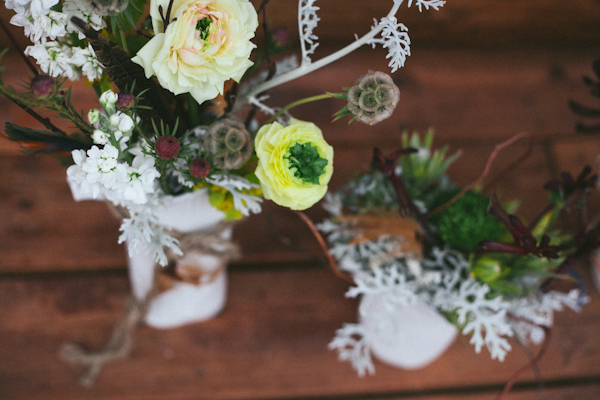 I'm obsessed with the white "tree" vases. 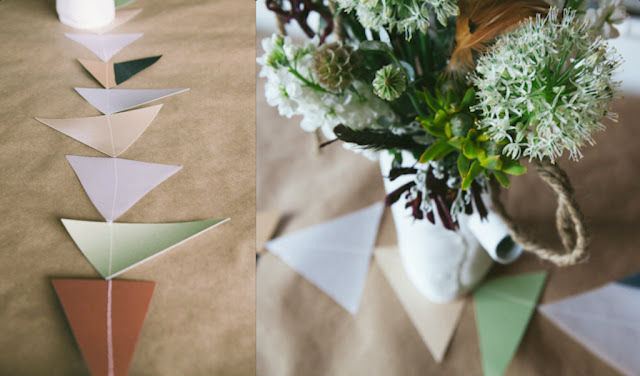 I made table runners of triangles to match the invites by simply sewing card-stock in a row. 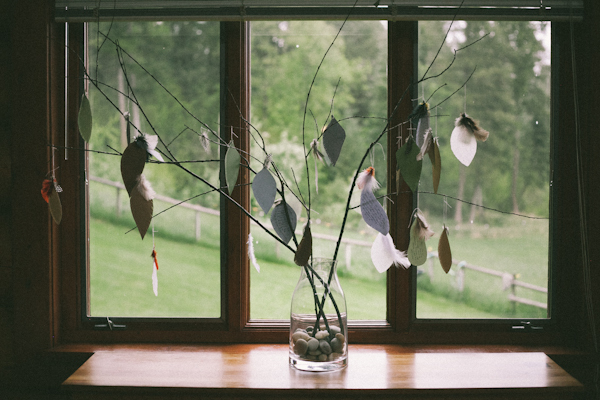 then hang them on branches. In lieu of games (yay!) we decided to make a simple craft for Kelli to use in the babies room. and shapes to make... ARROWS!!! Finished project coming soon below. 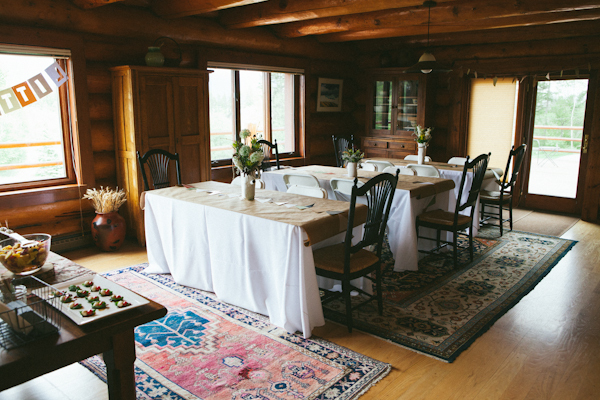 Gifts were placed by the teepee. 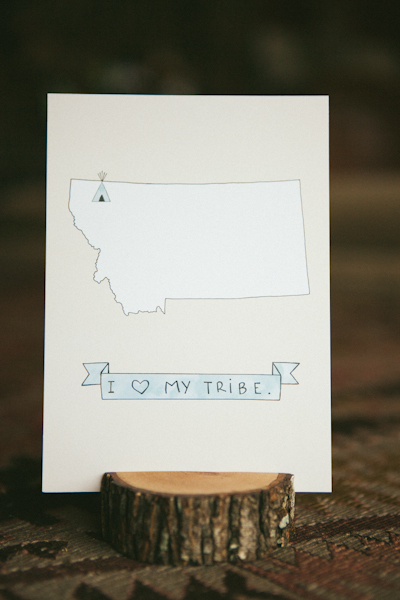 Everyone received a sweet print from Thorn + Sparrow as a party favor. Ashley, Jennie, Kelli, and I. It was a lovely afternoon for our wonderful Kelli! Can't wait to meet the little brave man!!! 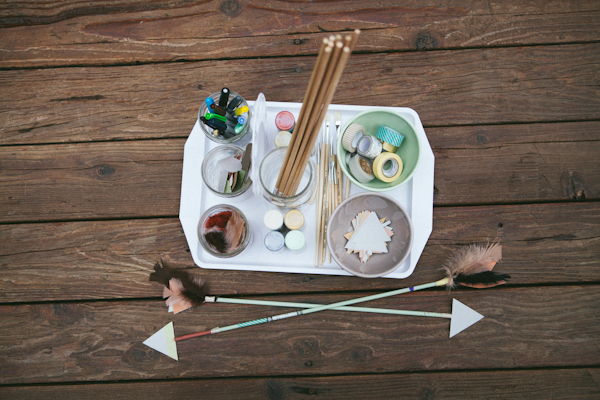 And here's what Kelli did with the finished arrows! 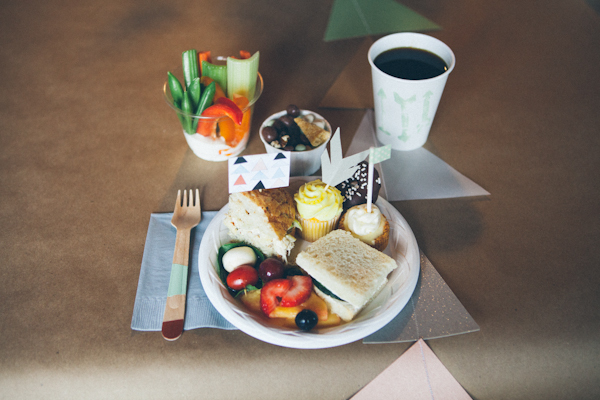 What an adorable party idea. LOVE IT! 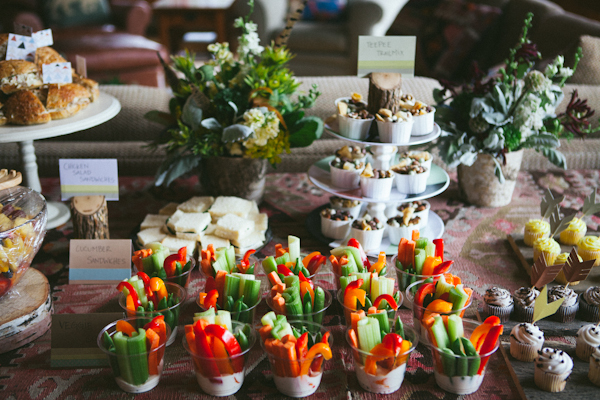 Do you have a recipe for those cheesecake bites? I'm drooling here! Thanks Aimee! I don't have the recipe, but I asked the girl who brought them if she'd share. I'll let you know! 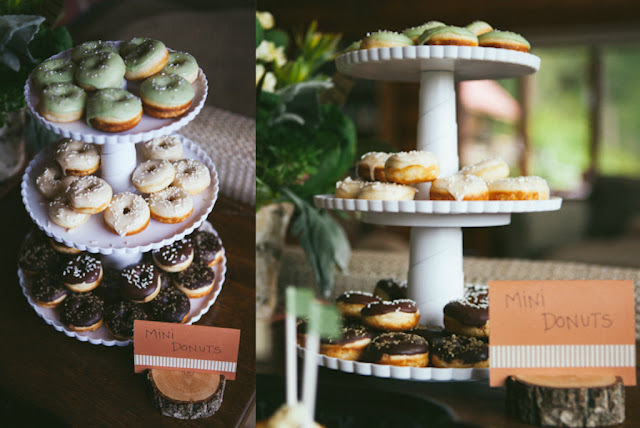 This is one of the cutest party idea I've ever seen! 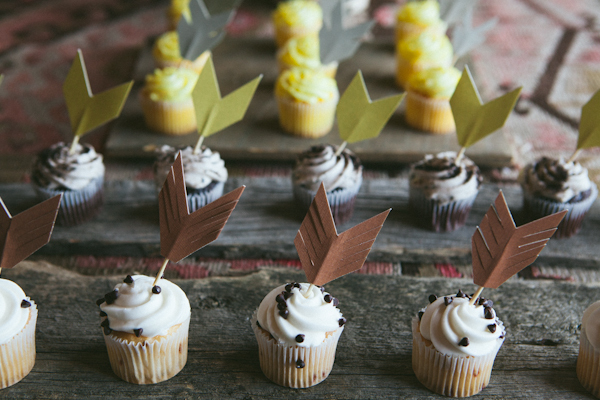 I love the different tribes and the arrows garnishing the cupcakes! I think you've thought of everything and I love the colors too! Thanks so much! It was super fun. Thank you! They were definitely one of my favorite details. Thanks for the kind words Jodi! It was a wonderful time. This is entirely unique and JUST PERFECT! I loved seeing every photo. It was beautiful. 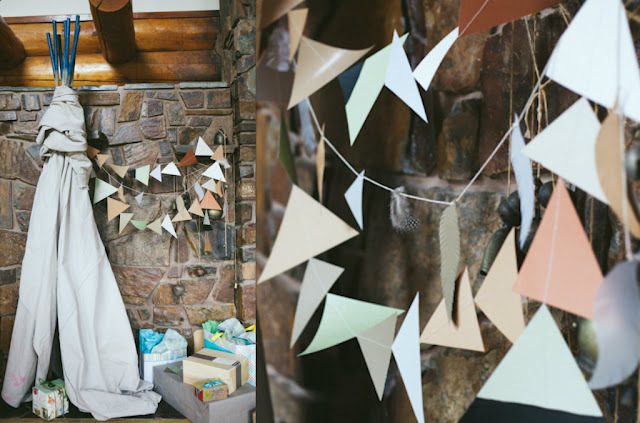 Those painted arrows are just too cute! 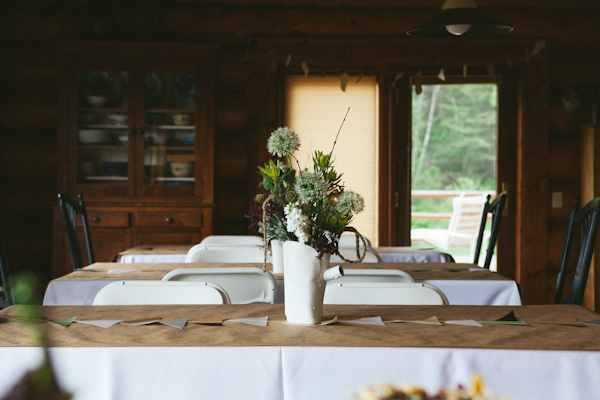 I am curious where you purchased your cardstock for the table runners? I am looking all over and can't seem to find a good match. Caroline, I purchased it from Joann's Fabric & Craft store. It was about 2 years ago though :-( I have a little left over, but not much. I do have the runners too. 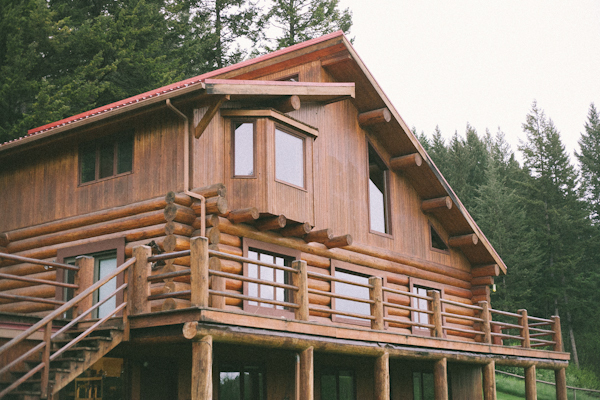 I'd be willing to sell what I have, but again it's not much, so it depends on your project. Feel free to email me if you want to know what I have. 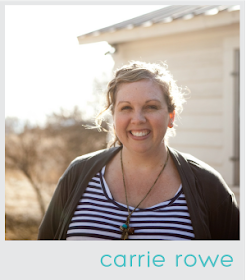 rowecarrie at gmail dot com. Hope you find something! 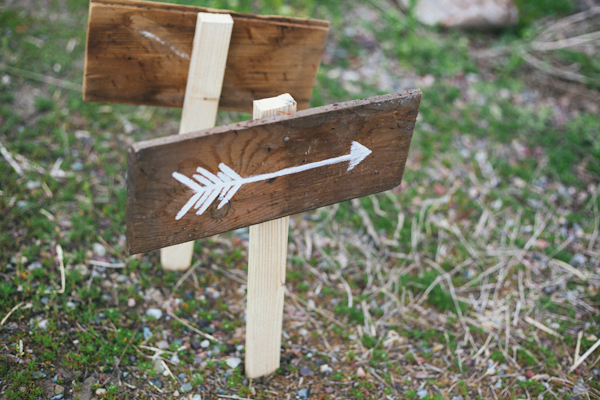 Did you ever post a follow-up on the arrows the guests made? We are having a VERY similar shower for my sister next week, & I would love to do these, incorporating wishes for the baby on the points of the arrows. But I'm curious what she would do with them after the shower...thanks! I would love to see a pic...thanks! My email is stampwithval@gmail.com. 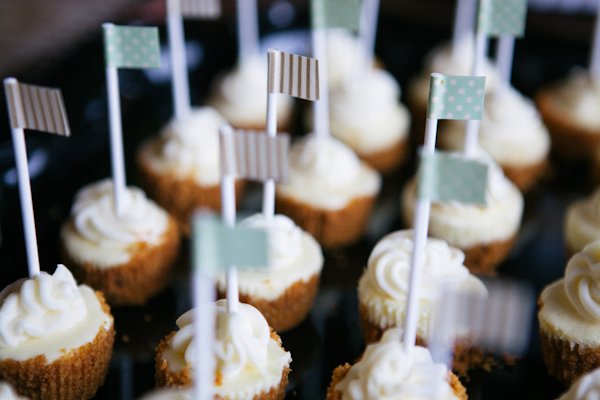 Amazing baby shower!! 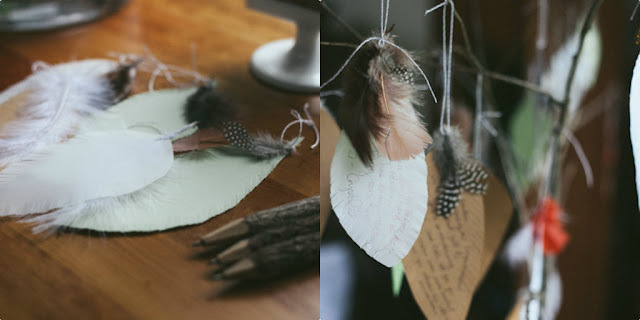 Thanks for sharing these DIYs here. Planning to throw my sister a surprise baby shower at one of Chicago event venues where she will get thrilled after seeing unknown activities. Very excited for that moment.